Super professional, top-notch service. They really treat customers with respect. And if you are a regular, they recognize you and thank you for your loyalty. Your vehicle is in excellent hands here. Definitely recommend! How do i start, on April 18, 2019 i took my 2016 honda accord sport for an oil and filter change. As i pull in the service door, Chloe Truglio welcomed me very kindly, asked me how was i doing and if i been there before, Wich was my first time because i just got my honda a few months ago. She then told me to go inside to wait for my car to be done that she was going to get me when my car was done. A while after she approach me to let me know that my car was almost done and that my car model had two recalls but they were taking care of them for me wich was great because i didn't have to make an appointment or come back to fix those problems. When my car was finally done she mentioned how she noticed when i drove in my driver DRL was out wich i already knew about it but never fixed it because i don't have time and i didn't know if my warranty would covered it. Anyway she surprise me and told me "we took care of that for you too, there was a new headlight in the back and i told the guys to change it for you. Your warranty covers it" wich was awesome, because mind you i had just went there for a simple oil change and they looked out for me in every way possible without me saying anything!! Chloe made my whole day and week!! Thank you sooooo much Chloe truglio for such amazing costumer service!! 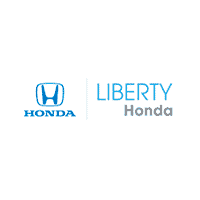 And im definitely going back to liberty honda for anything i need for car in the future..
Melissa Donovan ALWAYS goes above and beyond for me. She only recommends what really needs to be done to the car and gives me a heads up as to what is coming up for repairs. Best customer service! Very quick and efficient service. Jamie also pointed out that I needed breaks as my break pads very very low. Glad to have new front and rear breaks....thanks again!